I am so jealous of your harvests! My dragon fruit cuttings from Brad seem to be doing well according to my parents who are shepherding them until I move to Cali. I also have started some passion fruit from seed (purple possum, banana, and granadilla sprouted. Really want the giant granadilla to sprout) and found a blue passion fruit (caerulea) locally I took some cuttings from. I'd love to visit the Poway farm after I move Brad and see your orchard. It looks amazing. You are welcome to stop by. 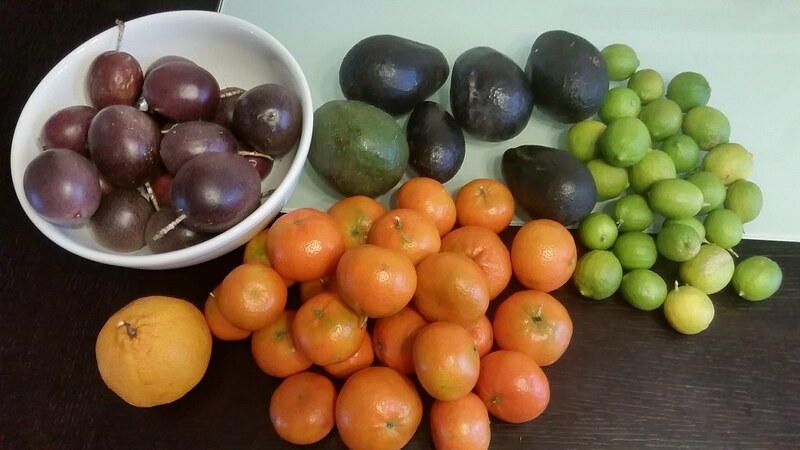 Not a lot going this time of year but we do have some citrus/avocados/passionfruits.